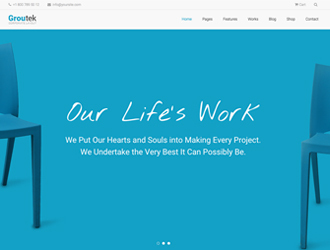 Following the last web design tendencies, we are proud to announce you the new Palette One Page Parallax WordPress Theme that will change your prejudice about challenging creation and complex customisation of your own professional website. Let’s start from the highly descriptive design of the presented theme. Browsing it, you will definitely enjoy the fresh-colored scheme along with the vivid elements arranging in the well-structured manner. The main peculiarity of Palette is the one page layout which provides you with the amazing parallax effect while scrolling. So you don’t need to click separately on each menu category such as Home, About, Gallery, Works, Blog, Features and Contacts since they go one after another. But this option is not the only one included. It is up to you, to choose between one page layout or the standard pages. Customization process will not take you a long time because with the implemented GT3 Page Builder plugin you can easy edit your website’s content into the theme. The Smart Management system will simplify your work when creating the pages. Crafted with Theme Option Panel, Palette includes tons of settings, starting from your site logo update to the site color changes. Beside that, Palette supports most popular WordPress plugins, like Yoast (SEO plugin), Contact Form 7, Mailchimp, WPML, etc. 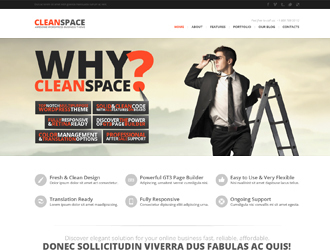 For your convenience, we made this template fully responsive and retina ready. 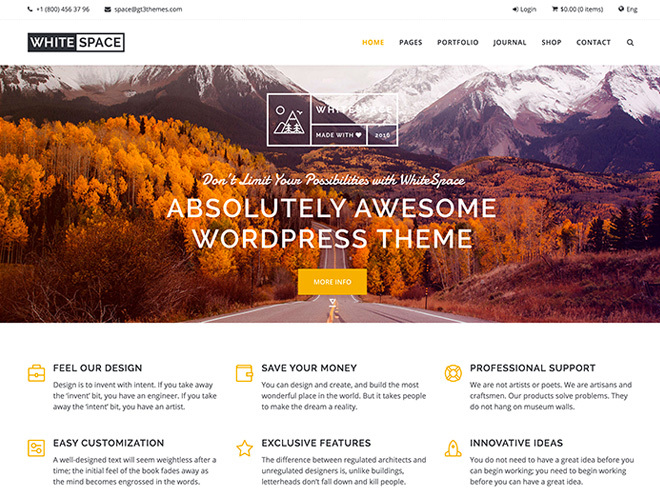 Review this ultimate Palette One Page Parallax WordPress Theme, make your decision and stay tuned with us!